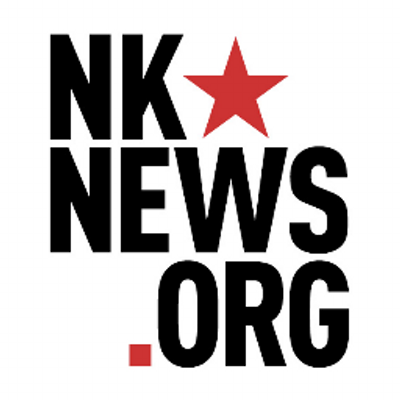 North Korea launched a ballistic missile towards the Sea of Japan (known in Korea as the East Sea) on Tuesday morning, according to South Korea’s Joint Chiefs of Staff (JCS). 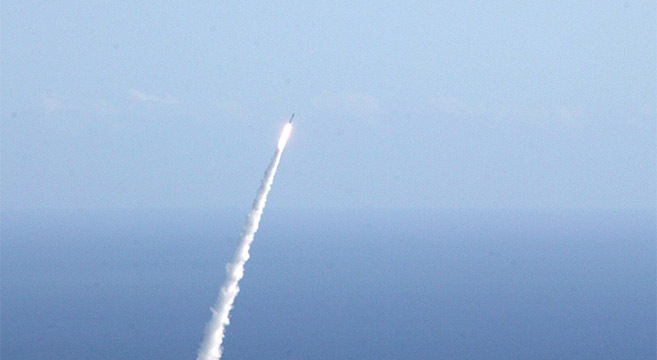 The missile then flew over Japan and landed in the sea east of Hokkaido. JCS said the launch took place in Sunan, northeast of Pyongyang, at 0557 KST, and that the missile flew 2700 km at a maximum altitude of around 550 km. The Japanese government, according to local broadcaster NHK, warned residents in the north of the country to take necessary safety precautions. The missile passed over Hokkaido at 0606 JST, according to the Japanese government and the South Korean military. It then landed in the sea around 1180 km east of Cape Erimo at 0612, the Japanese government said. Japan’s Chief Cabinet Secretary Yoshihide Suga described the launch as an “unprecedented, serious, and grave threat to our nation,” in comments carried by Reuters, saying that Tokyo protested the firing in the strongest possible terms. Prime Minister Shinzo Abe called on the United Nations to strengthen pressure on North Korea. Pentagon spokesperson Colonel Rob Manning said the U.S. was still in the process of analyzing the launch. “Following significant political turbulence in the wake of North Korea’s 1998 Taepodong-1 long-range missile launch and 2009 Unha-2 launch, which both overflew Japan, Pyongyang has since largely refrained from similar launch trajectories,” said Chad O’Carroll, Managing Director of the Korea Risk Group, which owns and operates NK News. The decision to conduct a long-range versus lofted launch over Japanese territory today is likely driven by a combination of technical and political motives, O’Carroll said. South Korean and the U.S. authorities are reportedly jointly analyzing further details about the launch, and a meeting of Seoul’s National Security Council (NSC) was held at 0700 KST. National Security Office (NSO) Chief Chung Eui-yong chaired the meeting. The launch is North Korea’s 13th of a ballistic missile this year and comes just days after a test by North Korea of several short-range projectiles. U.S. Pacific Command (PACOM) said on Saturday that the North had launched three short-range ballistic missiles near Kittaeryong. Two of the missiles flew “approximately 250 kilometers in a northeastern direction,” according to PACOM, but one failed in flight. The test was not reported by North Korean state media. U.S. Secretary of State Rex Tillerson last week said North Korea should be commended for its “restraint” and its lack of missile tests since the adoption by the United Nations Security Council (UNSC) of Resolution 2371 earlier in the month. Tillerson’s remarks, which suggested that the U.S. was open to dialogue with the North, were later echoed by President Trump, as well as the Chinese and South Korean governments.